Male and female Mallards on the ice. 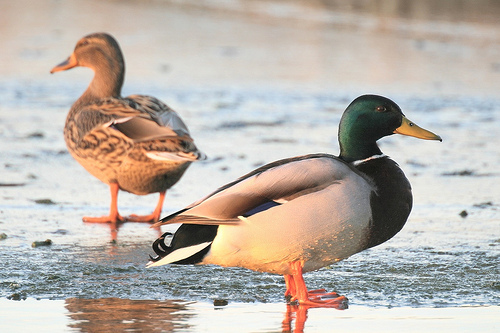 In a late winter sun, these mallards where resting on a thin sheet of ice. 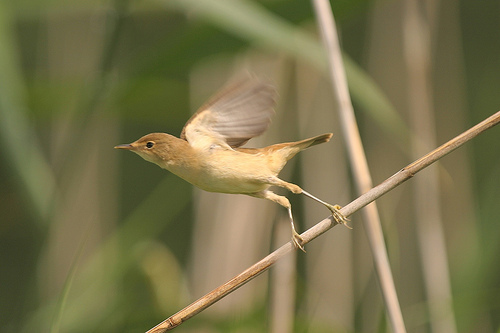 Flying Reed Warbler. My intentsion was to shoot an image of the Reed Warbler sitting on a piece of reed, but as I released the shutter, he flew away. The result is very pleasing though. 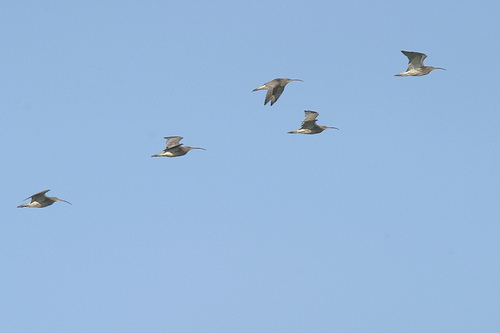 Flying flock of Eurasian Curlews. In a relaxed, steady pase these Curlews flew by me in the Alblasserwaard, near Den Donk. 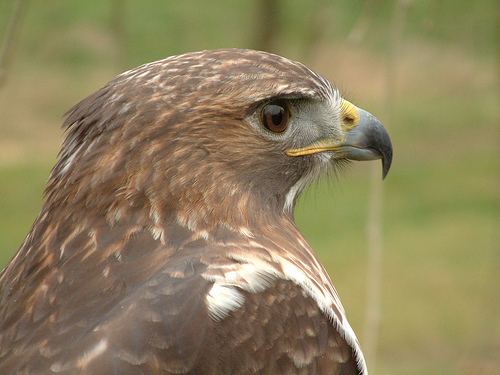 Closeup of a Red-tailed Hawk. During a show with birds of prey, you have all the time and oppertunities to photograph these stunning birds. But beware! Never look a bird of prey directly into his eyes as he will think you are about to attack. Captive animal.